She's one of the stars who are participating to this charity project for burn victims like Selina from S.H.E. This project started today and will end on October 4th. 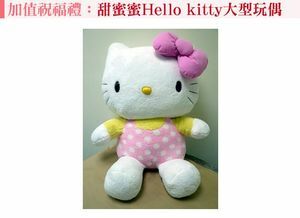 Jolin is giving a Hello Kitty plush! Her auction will end next week. For more info about Sunshine Social Welfare Foundation check HERE (it's in English).